Recently, I noticed that our editor had put out a call to some of our female columnists to address a newly released study by the Archdiocese of Baltimore about Catholic women and contraception. Suffice it to say that the survey of Church-going Catholic women found that a substantial minority were in agreement with the Church’s teaching, much more than the Guttmacher Institute’ self-serving (and self-selecting) survey suggested. Moreover, the newer survey showed that many women are interested in learning more about the Church’s teaching on contraception, though few want to learn about it in the context of morality per se, and fewer wanted to hear about it in a homily. This seems to be the culture’s attitude towards discussions of contraception. Interesting as all this is, I can’t help but notice that these studies are overlooking an important demographic. Both the Archdiocese of Baltimore and the Guttmacher Institute studies have focused solely on the attitudes of women towards contraception. Now, to be fair, this is consistent with the Guttmacher Institute’s general position concerning contraception (and ultimately also abortion), and the Archdiocese of Baltimore’s study may have been somewhat spurred as a response to the older Guttmacher survey. Therefore it might be fair to start by asking if this issue actually affects men too. The basic premise behind the contraceptive mentality used to be that it would create equality—by which is meant something more akin to equivalence or interchangeability—between men and women. The ladies could finally have a career, both before and after marriage: the old and honorable vocation of wife and mother was abandoned—and that of husband and father with it—to be replaced by the career. The victory of the feminists was completed, or perhaps derailed, when in pursuit of equality of women in the workplace, society denigrated the supremacy of those same women in the home. So where do men come into all of this, besides that our own vocations as husbands and fathers are tarnished and discarded? The secular cynic might quip that men merely don’t want to pay for the contraceptives—the phrase “why buy the cow when you can get the milk for free” comes to mind here. Yet even by the progressive definition of equality, men ought to be footing at least half of the bill for the contraceptives, so the cynic reasons that there is an economic impact to all of this. Isn’t this ostensibly the rationale behind forcing employers or insurers to cover contraceptives for their employees: that the men won’t do it and the women shouldn’t have to pay for it alone? We are not, however, secular cynics but rather sincere Catholics or even merely struggling Christians. As such, we surely recognize that contraception does affect men, both morally and spiritually. It affects us spiritually because it is a deterrent to our honest discernment of God’s will for us and for our families. It affects us morally, because we are also responsible for the contraceptive culture, and moreover are also complicit in those acts of contracepted copulation in which we engage. In layman’s terms, it takes two to tango, and it is our role to lead, both in dancing and in the domestic Church. Sometimes that leading takes the form of making sacrifices. Are among the greatest joys in a husband’s life. We husbands should certainly cherish and comfort our wives, for we must love them above all others save God. The greatest of all loves on earth we must reserve for our wives, not merely eros or filos or estorge (though these we need, too), but their perfection, agape. This greatest love is divine in nature, that is is comes from God and is perfected in Him. Therefore, we should consult God concerning the meaning of agape love, and when we do we see than he answers thus: “There is no greater love than this: that a man lays down his life for the sake of his friends” (John 15:13). The “friends” in question must include first and foremost a man’s wife, and then secondly his children. Therefore, the greatest act of love which I can give my wife is to lay down my life for her. This is exactly what Saint Paul tells us to do in his Epistle to the Ephesians: “Husbands, love your wives, as Christ loved the Church and gave Himself up for her, that he may sanctify her, having cleansed her by the washing of water with the word, that He might present the Church to Himself in splendor without spot or wrinkle or any such thing, that she might be holy and without blemish” (Ephesians 5:25). Christ carried our sins for us when He carried the cross to Calvary. He laid down His life for us then. He showed us that it is indeed possible to lay down one’s life for his friends, even when those friends did not understand (see Matthew 16:22-23). The contraceptive culture of death—and its widespread acceptance by women—presents us our own challenge. Here we are challenged to lay our own lives down for our wives, that they (and we) might be holy and without blemish. During my skimming of both studies, there are a few related questions which I did not notice, but which I think would be very illuminating if answered honestly. How many of the ladies who are set against the Church’s stance on contraception would give it a second consideration if their husbands were supportive of NFP? I don’t here mean that the husband in question wants to use NFP, but merely that he would be willing to use it. And how many are opposed to NFP out of fear, not only against its perceived inefficacy, but out of fear that their husbands would disapprove or even (if secretly) ridicule them? Finally, how satisfied are you really with your current birth control methods—and have you ever wanted to switch? Gentlemen, would you willingly lay down your lives for your wives if they asked it? Would you, even if they did not, if you perceived that they needed it from you? Would you lay down your lives for them even if you did not understand why? Our contraceptive culture is urging us to answer in the negative. These questions are essentially the same: will you love your wives as Christ loved the Church? Many men have, in answering no, denied this question three times. Our is a culture of death, as such it is in sore need of witnesses to the Gospel of life. That witnessing begins with a sort of martyrdom in the home when we die to the convenience of contracepted copulation. 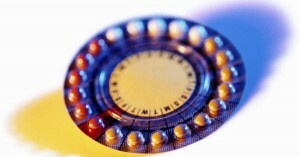 Society says that we don’t count, that contraception is not a men’s issue. Christ plainly shows us that as a sin, it certainly is a men’s issue: and as such, we must reject it both in fidelity to Christ and in love of our wives. Men matter, and it is our duty to lead our family–including our marriages–away from sin. A Lesson on Birth Control from… Moses?